We just hit that time of year again we all look forward to: “bay season” as I like to call it! We are very spoiled living just minutes away from the Chesapeake Bay waterline! 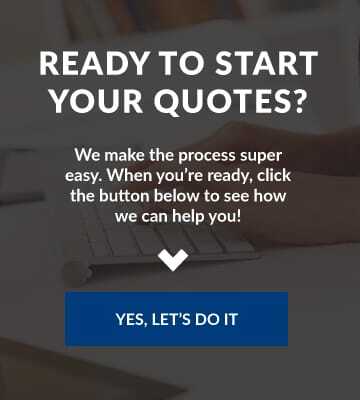 As you probably saw scrolling through our website, boat insurance is one among many lines of insurance we write. I am an avid kayaker myself. Being a Colorado native and current Maryland resident, I have been introduced to what I have been missing! From catching your own fresh seafood (seafood for Coloradans is not a thing- we ate bison burgers?) and having endless possibilities on what the bay has to offer…. I feel like I hit the jack pot moving here! I can imagine if you are a Maryland native yourself, (yes I am talking to you) you grew up spending endless weekends on the water with your family creating unforgettable memories. Now that you are an adult and have a family of your own, you hope to pass those childhood memories onto your children! So you went ahead and bought a boat! 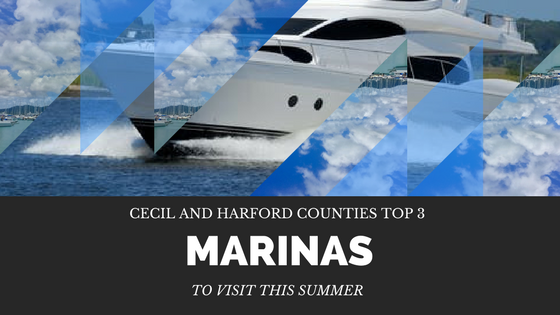 Before I tell you the top three Maryland marinas in both Cecil and Harford County, let me tell you just a few points about your boat insurance you need to know before you hit the water this season! Let me first start off my saying that no, boat insurance is not a requirement in the state of Maryland. But remember: you are not the only boat out on the Chesapeake Bay. You are still liable for any accident you are found at fault in or any marina you cause damage to with your boat. 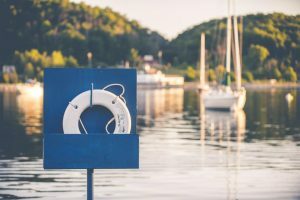 You have to ask yourself “Can I afford to replace the damages on another boat or marina if I am found liable for damage?” If the answer is no, you need boat insurance! Violations you face on the water (DUI) will reflect on your daily license and effect your auto insurance. Many policies specify “zones” someone can sail in to ensure the policy would apply in the case of a loss. It is called the “Navigational Waters Limitation”. It is more expensive to cancel a Maryland boat insurance policy mid-term. This keeps people from canceling during the off season and writing a new policy at the start of the new season. A Maryland boat insurance policy has two sections: liability and physical coverage for the boat itself. The factors that go into generating the insurance rate for a boat policy is the boat itself, the motor, and the trailer. A Maryland boat insurance policy does not provide coverage against anything it faces. It is crucial to read the listed “perils” or in other words, the causes of loss that your policy will cover. One to NEVER forget about is lightening. More importantly do not forget to see if your policy covers all electronics on the boat in the case of a lightening strike. We also face ice and snow in the spring at times so be sure your policy offers coverage against these. Ensure your policy offers towing and labor expenses. You will want this coverage in the case you are in open water and your boat faces motor issues and you need to be towed to shore. Now that we have coverages out of the way, lets compare some of the best marina’s we all have access to this summer. Many boat owners like to live the ” boating lifestyle” in the summer season with their family. The best way to do that is by getting a slip at a marina. They offer an array of amenities that only add to the memories your family will make this season. “You are treated like family” and ” the marina is very well kept” are two things you will hear from many of their loyal customers. This marina is family-owned and operated and runs their business with one vision in mind: “Beauty, environment and legacy of the Chesapeake Bay”. They are conveniently located next to the Chesapeake and Delaware canal for those of you that like expanding your horizons and boating in the Delaware region! This marina is associated with Locust Point Marina because it is just a walk away! Taylor’s customers get access to some of Locust Point marinas amenities since both of these marinas are affiliated. This quaint marina offers slip holders an array of amenities such as BBQ grills, a large picnic area, and gazebo if you want to have a get together on the mainland! This “modern marina resort” is a popular one in the upper Chesapeake region and for good reason! Perhaps one of the coolest features the marina has to offer is the pool that sits looking over the bay! It is a family oriented marina whose goal is to only enhance each customers boating experience. Not to mention that Schaeffers and the Chesapeake Inn are only a boat ride away for some good eats! This marina was founded June 22, 1939. 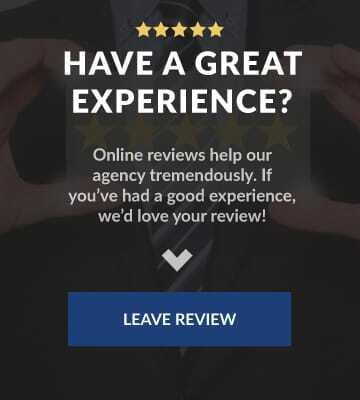 With so many years of business under their belt, they have been able to truly pin point what their customers look for in a marina. They offer a large list, one of which offers ballroom rentals for events you are looking to host this summer! 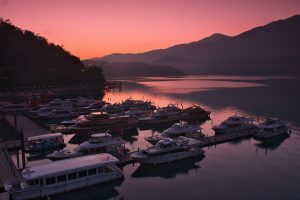 You will hear from the long term slip owners that they love the peace and quiet they get at this marina! Located on the beautiful banks of Bush River, you will get gorgeous views from any location on the marina. Many of their members rave about their park filled with picnic tables and playgrounds for your family to stop in for a family friendly environment to enjoy any time of day! This marina was recently updated with brand new floating docks and features they offers to their slip owners. The one thing that sets this marina apart from all the rest is the fact that is family owned and operated since 1946 with 4th generation family members who run the marina currently. This marina was a boat manufacturer but closed that aspect down to truly put their focus on improving the facilities and equipment throughout their marina to offer their customers the best experience possible! 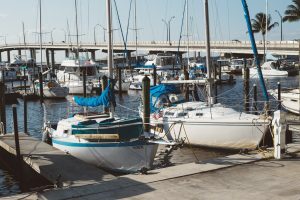 Don’t be afraid to get out of your normal routine to check out these marinas! Before you do that, review your boat insurance coverages. Many people go for the best price and feel as though insurance is a “waste of money”. But, remember that question I asked you in the beginning? “Can I afford to pay for ANY damages to another boat or marina that I am liable for?”. Insurance is there to look out for you when you need it most, so make sure it will cover what you need. Now get out there and enjoy the beautiful weather. You may just find the new place your family will call “home” this summer! I am the Marketing Coordinator for our agency and recently became a Licensed Insurance Agent. I am originally from Colorado, and have a passion for sales and marketing! Previous Post: Why Do I Need Renters Insurance?